The Grand National is the biggest racing event in the calendar, each year 40 runners line up at Aintree to compete for the £1 million prize fund. It was clear from the first running of the race 1839 that the ‘National’ was destined to become more than just another steeplechase, the spectators who witnessed jockey Captain Becher fall at the fence which now bears his name could never have imagined that over 175 years later the country would still be gripped by the spectacle of the Grand National. The horses listed on this page are NOT declared for the 2020 Grand National. 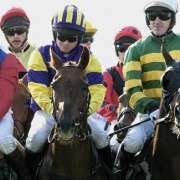 Find out the exact start time for the 2020 Grand National race and details of TV coverage. 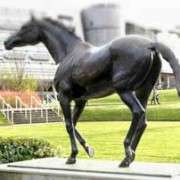 Learn more about the famous Aintree racecourse and Grand National fences. 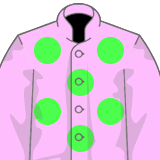 Learn more about betting on the Grand National with our guide. A few years ago the queues outside the bookmakers would stretch down the high street on the day of the Grand National. Thankfully, today we can avoid the queues by using online bookmakers. The bookmakers we feature are licensed, regulated and have 24 hour customer support. You might ask ‘Who is the best bookmaker?‘ Well, it all depends on what type of bet you want to place, the size of the bet and other considerations like what Bonus Bet deals are being offered. For the average person, a bookmaker like Betfair is going to be a good option. Firstly their website is easy to use, joining only takes a minute and you can fund your account using a variety of different methods. Secondly, Betfair usually pays out each-way bets on the first FIVE horses home for the Grand National 2020 (please check the number of eachway places offered by your bookmaker). Thirdly, Betfair offers a bonus bet deal on the day of the National (new customers only). Other bookmakers withdraw theirs – the swines! Joining and placing a bet with Betfair is easy and quick. New customers could qualify for a Bonus Bet Offer. 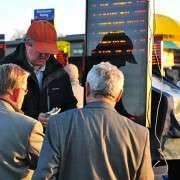 Betfair pays to five places on eachway Grand National bets. Download the mobile app for betting on the go. Live streaming on selected races and sporting events.